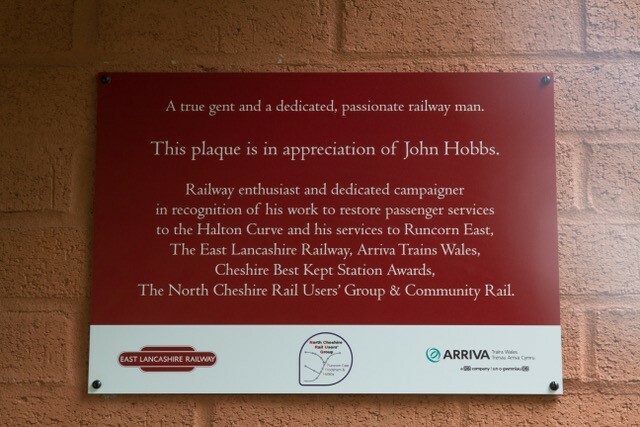 In a secretive project co-ordinated by NCRUG Volunteer and Publicity Officer, Ian Whitley, with the help of the NCRUG committee, Arriva Trains Wales and many other partners a plaque to recognise the incredible contribution made by long standing member John Hobbs was unveiled at Runcorn East railway station. 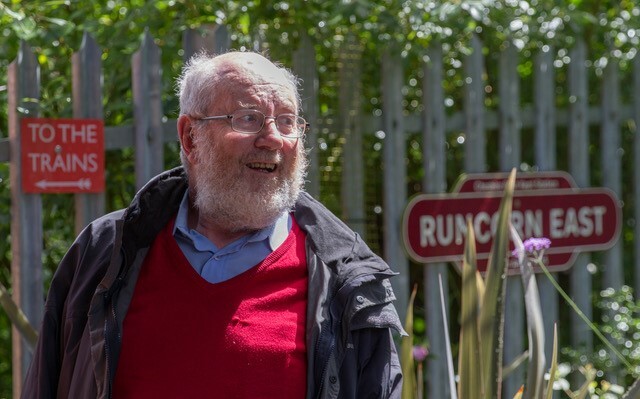 Runcorn East has benefited from his passion and determination and while his biggest challenge to tackle was the restoration of regular passenger services on the Halton Curve, the station seemed the most appropriate place for the plaque. Colleagues, friends and family gathered at Runcorn East to witness the unveiling. John was modest when Mark Warren, NCRUG chairman spoke about his service and achievements praising the team but we can all agree he deserves the recognition. 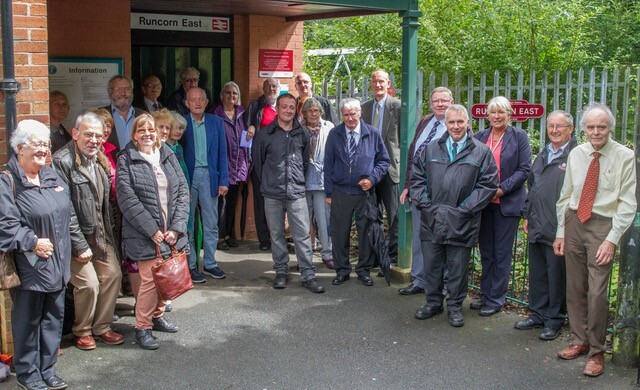 North Cheshire Rail Users Group is not responsible for the content of any external websites featured.